The government of Austria is blissfully rolling in dough, thanks to the countries tax on international online gambling operators. Last week, Profil, an Austrian financial and business news website, published an interview with gambling industry attorney Julia Eckhart, who boasted that the Austrian government had collected over EUR 115 million from international online gambling operators in taxes since beginning the practice back in 2011. Most of the operators are licensed in offshore tax heavens like Gibraltar or Malta and lack the Austrian government’s official seal of approval. The end around? A 40% tax on all online gambling revenue coming from Austrian bettors, meaning the Austrian authorities will tolerate offshore operators, despite their lack of an Austrian license. 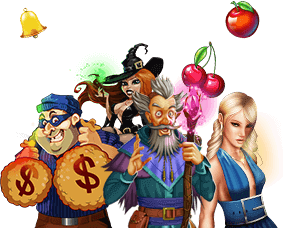 Currently, there is only one licensed online casino operating in Austria, Win2Day, the online brand of Casinos Austria’s Österreichische Lotterien subsidiary. While international offshore online gambling operators have protested the tax, or more the taxation without representation, in both Austrian and EU courts, the European Commission has thrown out all infringement proceedings against member states who decide to protect their local online gambling markets. And meanwhile, the Austrian government is happy to keep raking in the dough. A VIP dealer in Macau has made off with an estimated $6.1 million in stolen chips. Police say the dealer at the Wynn Macau, the Asian arm of American casino operator Wynn Resorts, is still being sought. Wynn has so far declined to comment, saying only that the matter had been turned over to police, who are investigating. News of the theft, however, spread fast thanks to social media rumors, one of which even claimed the thief was armed at the time, an assertion now denied by Macau police, who have declined to offer further details of the heist. Macau is no stranger to high-end casino thefts, having seen a rash of heists in the last few years, including VIP room employees who stole millions in 2015 and 2016 from junket rooms targeting Chinese whales in the casinos. 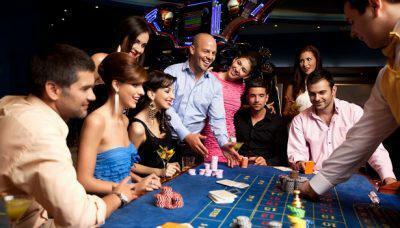 The junket system, the idea of bringing in high rollers from China and Japan and pampering them with the full VIP treatment, is one of the mainstays of Macau gambling operations and comprises the foundation of the cities $33 billion in yearly gambling revenue. All six major concessions in Macau, Wynn, Sands China, MGM China, SJM Holdings, Melco Resorts and Galaxy Entertainment depend on the smooth flowing junket system to shore up their yearly revenues. The “Voter Control of Gambling” amendment, backed by some strange bedfellows, as divergent at the Disney Company and the Seminole Tribe of Florida, would require any form of casino gambling be put to a state-wide vote. The issue is currently controlled by the state legislature. The ballot initiative, known as “Amendment 3”, would change the Florida constitution to give voters “the exclusive right to decide whether to authorize casino gambling” in the state. As any state constitutional amendment, the initiative will require a 60% approval rating from voters in November to pass. “We didn’t spend what it took to make it to the ballot to leave things to chance. I would suspect that it’s a significant eight-figure campaign that we will wage to support it, and if anyone wanted to come after it, I would suspect the like,” John Sowinski, chairman of the Voters in Charge political committee backing the amendment, told The News Service of Florida on Wednesday. With millions likely to be spent by both sides of the initiative, Disney Worldwide Services has already contributed $4.35 million to support the initiative, with the Seminole Tribe of Florida kicking down an additional $1.3 million. Passage of the amendment would likely protect tribal gambling rights by forcing a vote on casino expansion that would require 60% of residents to approve gambling operations even in single counties. “It’s game over for the Legislature if that (constitutional) amendment gets on the ballot and passes. And at that point, we’ll just be spectators in the world of gaming, which will essentially be a monopoly for the Seminole Tribe,” Sen. Bill Galvano, a Bradenton Republican who has been instrumental in gambling-related legislation for eight years, told the News Service on Wednesday. 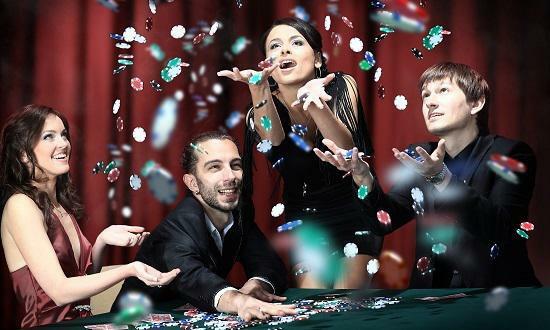 Gambling industry lobbyists have argued that the amendment would have a “chilling effect” on the industry. “The fear that they all have is that, if this No Casinos amendment passes in November, we will never have that opportunity without a statewide approval to add new product, whether it be slots or otherwise. And to try to get that approval statewide when you have Disney and the Seminole Tribe with their monopoly putting money in against any type of expansion you place on the ballot, it’s going to be impossible to get those votes with the 60 percent threshold,” gambling industry lobbyist Nick Larossi told reporters. Boyd Gaming Corporation, a Las Vegas casino operator running a dozen casinos, has announced it has entered into an agreement to acquire Valley Forge Casino Resort in Pennsylvania from Valley Forge Convention Center Partners LP for $280.5 million. “We’re still a month out from actually closing on the acquisition. We would need to take a look at the operations and see what makes sense,” said Boyd spokesman David Strow. “But we think there’s a lot of long-term potential in the property. President and CEO of Boyd Gaming, Keith Smith, said in a press release, “The acquisition of Valley Forge Casino Resort is another excellent opportunity to further grow and diversify our nationwide portfolio. With this acquisition, we will expand into the second-largest gaming state in the country, establishing a presence in a densely populated, high-traffic area just west of Philadelphia. Pennsylvania ranks second behind Nevada in yearly gross casino revenues.